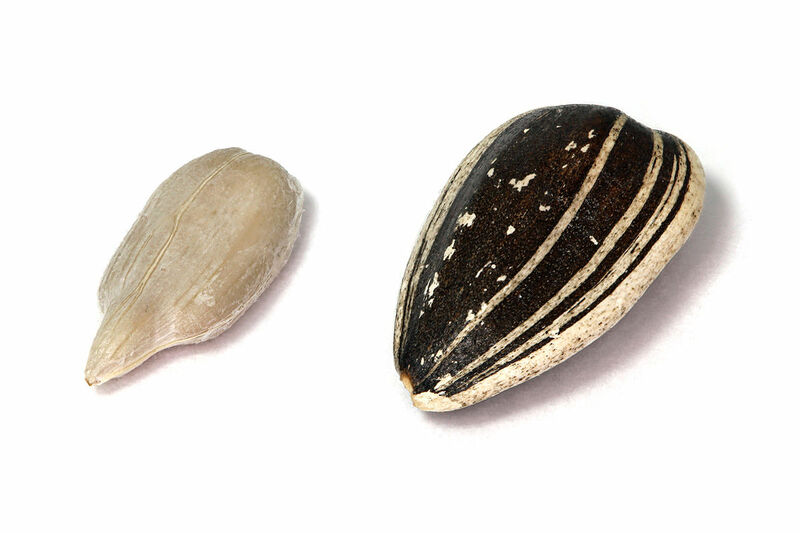 Question: Do Sunflower Seeds Have Carbs? Vitamin E – A half cup of sunflower seeds can provide you with a substantial amount of vitamin E to move you toward meeting the recommended daily value (see the table below). Some of the benefits of vitamin E include improving and repairing the skin, maintaining strong hair, and helping prevent heart disease or cancer. Magnesium – Sunflower seeds are a good source of magnesium that provide approximately 60 percent of the recommended daily value in a half cup of kernels. The benefits of magnesium are enormous because it is responsible for hundreds of reactions in the body. Some of these include assisting food to become energy, protein creation, gene formation, muscle function, and nervous system regulation (source). Protein – Sunflower seeds are a protein rich food. Protein builds muscle, promotes bone health, lowers blood pressure, increase your metabolism, and much more. Fiber – Sunflower seeds can help promote proper digestion because they supply the body with an excellent source of fiber. A half cup of seeds (kernels) has about 6 grams of fiber. The recommendation is to consume approximately 30 grams of fiber per day. In regards to carbs, sunflower seeds do have some carbs. Below we have provided the nutrition facts for sunflower seeds based on the USDA nutrient database and a selection of brands. On average, a 1/4 cup of kernels has about 5-6 grams of carbs. As with many types of seeds or nuts, sunflower seeds are high in fat, calories, and potentially sodium. While they do provide a lot of nutritional value, they should be consumed in moderation for many people. You can avoid or minimize the sodium by eating unsalted or lightly salted seeds. 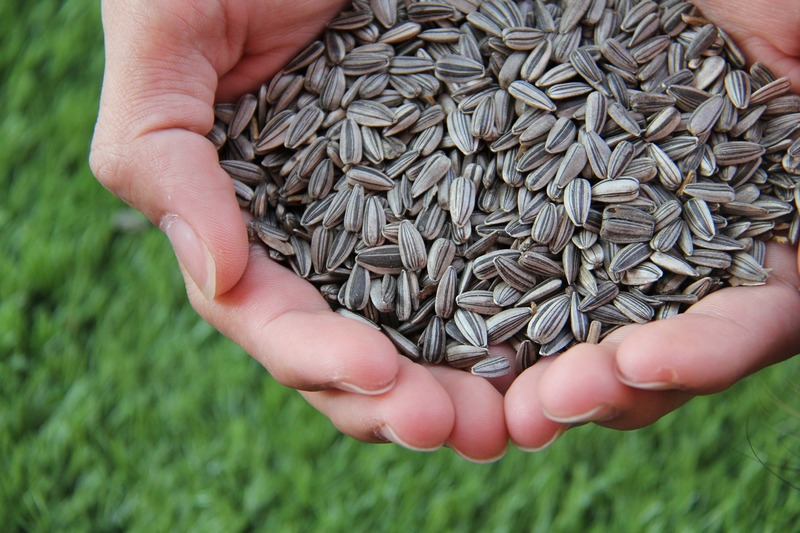 The carbs in sunflower seeds are reasonable but again, your carb intake can rapidly increase if you do not eat them in moderation. Bigs Original Salted & Roasted (In Shell) 3/4 cup (30 g kernels) 180 6 g 16 g 1.5 g 0 g 0 mg 150 mg 3 g 1 g 7 g 4% 10% ? ? ? ? Bigs Hidden Valley Ranch Flavor (In Shell) 3/4 cup (30 g kernels) 170 3 g 14 g 1.5 g 0 g 0 mg 170 mg 3 g 1 g 7 g 4% 10% ? ? ? ? Bigs Bar-B-Q (In Shell) 3/4 cup (30 g kernels) 160 8 g 13 g 1.5 g 0 g 0 mg 150 mg 3 g 1 g 5 g 2% 6% ? ? ? ?